But most of all, I want to thank all the children! 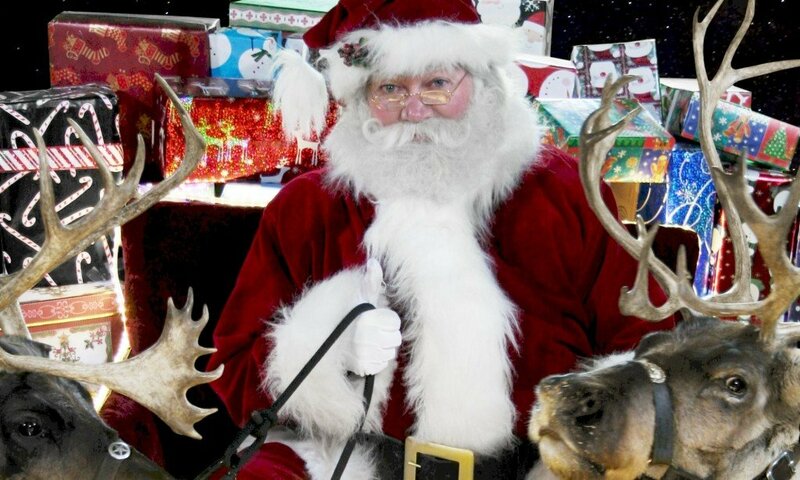 I want to thank you for the nice drinks and treats for me and apples, sugar, carrots and other goodies for the reindeer. Thank you for the great letters and emails too! Hurray for you! And “Thank you!” for watching me on the Christmas Eve Santa Snooper! I hope you liked it. I am very sorry if I could not bring you what you wanted. I know you really wanted it. I am so sad I could not bring it. I know you are sad about it too. The most important gifts are the ones that I cannot bring. After all, Christmas does not come in boxes and bags. It does not come from a sleigh or a store! If you have people that love you and a warm, safe place to live, then Christmas, perhaps, means a little bit more! have. A. G. Day. Santa. Claus. To. Elf. Talk. To. Me. At. Or. Letters. Form. Paul. Chant illy. Lane. Santa. 8. Rindeer. you Are real my big brother AJ thinks you are not ok.
i will in 2009 fox high school wrestling and i love it By Nancy Grace Marciante. Mr. and Mrs. Santa Claus you are the best! hey Santa i want an Iphone 8 plus for Christmas this year and my mom said you can bring me one thank you love you Santa. Santa I got one present for Christmas and it’s what I ever wanted! Could you please give me 52 pack chemeolian pens! Tilsanta. Clues. Address. Look up Paul house. Address. On. Map. Put On. The. Step. Door. Paul. Nov. 11. 20018. Paul. Tan. House. Til Santa. Look up. The. Map. Hi, Santa you are the best. Hi, Santa. I need you to help me in some of my problems. Can you please do that? Hi santa we moved into my mom’s boyfriend’s house. So please make sure that star the elf on the shelf can find the new place we call home. Hi Santa! I love the presants you gave me last year. who gave the magic you have to you? Santa you really need to listen. I really really really really really really want a dog or puppy. I promise that I will take care of it. I have been a very good girl this year please just think about it. Heyyyyyyy Santa ur the best I loved u since I was born???? Hi Santa! Thanks for the stuff you brought me! Stranger Things merch, Hatchimals, etc. And thank you for my new dog! Thats what I love the most! Santa I love you so much.!!!!!!! Santa you are the best ever. Santa thank you so much for last years presents. This Christmas I will be leaving you a surprise! OMG!!!!!!! SANTA Thank you so much!!! I will always belive in you!! who gave you ALL that magic?????? ?Merry Christmas!!!!!!!!!!!!!!!!!!!!!!!!!!!! 11111 hugs and kisses LOL!!!!!!!!!!!!!!!!!!!!!! OMG!!!!! Santa I love you!!!!!!!!!!!!!!!!!!!!!!!!!!!!!!!!!!!!!!!!!!!!!!!!!!! Is my elf on the shelf called Snow going to the North Pole each night. Please can l mail my self to you Santa.Does the elf on the shelf really have magic. Come to my house and kiss me right here on the lips santa. P.s. i love you. please leave a message back and make sure my elf is okay please. U are the best santa ever because u gave me a play doh set a dress up doll and a doll that can sing and also a baby doll like a real one. U are the best santa in the world because u gave me and other children presents and u gave me other toys aswell. Thank u elves santa, reindeer and Mrs Claus for my presents. I had a great white Christmas. We would like to thank you for our epic lego and PS4 slim. Here is a picture of us on it together. you are the best Santa in the world and the Elfs too. Thank you so much for my presents one of my best ones was the bedroom seat you gave me. Have a happy new year everybody at the north pole. Santa I am so sorry I forgot to put out cookies this year. Thank you for all my presents. Too bad you couldn’t get to me, I left out candycanes! Santa Claus, Thanks For my Lego Nutcracker and Robin, but I really Wondered why I didn’t get my Lego Assembly Square and Lego Gingerbread House. If i’m good, can you bring me some presents next year? I want a Barbie dreamhouse, a toy unicorn, and a teddy bear! I had a wonderful time on christmas thanks to you santa kisses and hugs thanks for the presents!!!!!!! I liked the presents, I watched santa snooper the entrie afternoon, evening and night until around 1! Thankyou Santa Claus and North Pole for my presents and also thanked my grandparents too. See you again in 2018 for Christmas. Have a blessful Christmas and A Happy New Year. P.S. love you all at North Pole. Hello! Remember me? I have recently been enjoying the Christmas presents you have given me, and I just want to thank you for your help all of these years. Though I am already 15 years old, that doesn’t mean my spirit is weak. Though it is post-Christmas, I still have plenty of Christmas spirit in me and have taken the time to say I hope all goes well for you, the elves, Mrs. Claus, and the reindeer during the incoming New Year of 2018. May God bless all of you and a happy new year to all! THANK YOU SO MUCH FOR THE LAPTOP!!!!!!!!!!!!!!!!!!!! I’m using it to write this! Thank You for the Lego. I finished building it. Did you know you left the chimney open last night? It is funny that you put the presents on our desks. Merry Christmas. Thank you for the Elf on the shelf we named him Thimble. Previous PostPrevious Christmas Eve 2017! Next PostNext Thanksgiving and Football at the North Pole – A Silly Clumsy Story!